Synopsis (Goodreads) Not all those who wander are lost, but Aubree Sadler most definitely is on this novel’s whirlwind trip through Europe. 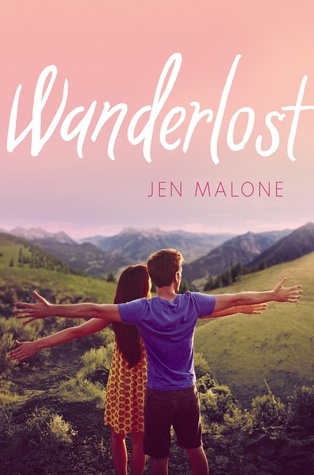 Wanderlost by Jen Malone is a light-hearted, sweet and entertaining YA Contemporary. Our MC is seventeen year-old Aubree, a recent high school graduate who has been put in a challenging position by her sister Elizabeth to be a European tour guide to seniors. It sounds easy enough but Aubree needs to impersonate her sister during this time. Aubree was a sweet yet naïve and timid character; she has been sheltered so was quite clueless when it came to taking on a challenge so out of her comfort zone and things weren’t so easy for her along the way but I loved how she developed through the course of the book. We get a sweet romance between Aubree and Sam but with lies involved and Aubree acting as Elizabeth things weren’t always easy but the drama wasn't dragged out or over the top, it was dealt with maturely. Their dialogue was quite sweet and I liked their connection; Sam was an absolute sweetheart, I adored his character. The storyline was interesting but it could be slow in parts which made it drag on. I would have liked more from the ending, maybe a snippet of what was to come for Aubree and Sam. Also, without giving away spoilers I felt the conflict within this book wasn’t followed up with a satisfying resolution, I expected more. I also found it a little far-fetched but it was entertaining none the less. The European setting and the vivid details that we were given gave me a huge case of wanderlust! and the seniors on tour were all really great, there were a few laugh out loud moments that I really enjoyed and I quite liked the authors writing style. Overall, Wanderlost was a quick, enjoyable and easy read. Thank you to HarperTeen via Edelweiss for the opportunity to read and review this title. 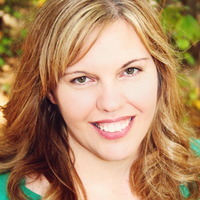 About the author: Jen Malone writes books for tweens and teens. Her debut middle grade novel At Your Service (Simon & Schuster) published in 2014. Next up is the co-written series You're Invited (S&S, 2015 and 2016) and three young adult titles with HarperCollins, beginning with Map To The Stars (Summer 2015). 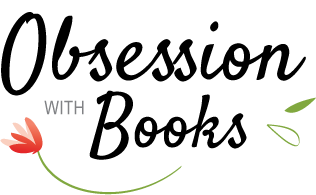 Jen is the Author-in-Residence at a middle school outside Boston and has presented workshops at SCBWI conferences, the Baltimore Book Festival, Girl Scouts of America Adult Learning symposium, the Princeton Children's Book Festival, the Writer's Loft, Savvy Authors, and others. She also teaches creative writing to tweens at popular library and school workshops.